As we have just seen, a class template definition looks like a regular class definition, except it is prefixed by the keyword template. 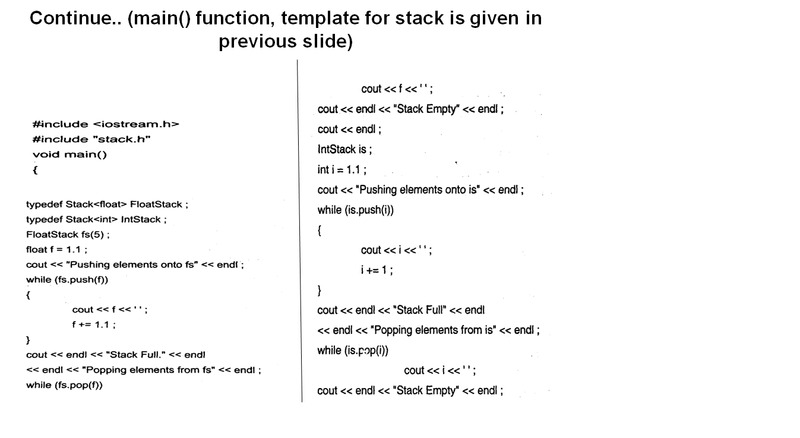 For example, the following slide has definition of a class template for a Stack. While implementing class template member functions, the definitions are prefixed by the keyword template. Using a class template is easy. Create the required classes by plugging in the actual type for the type parameters. This process is commonly known as "Instantiating a class". 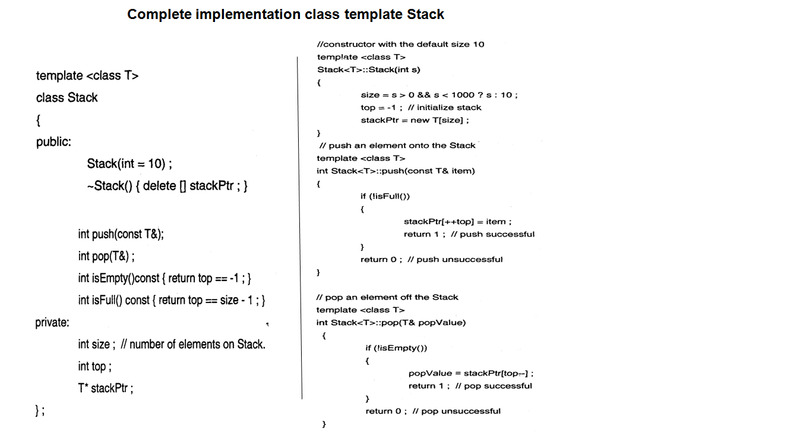 Here is a sample driver class that uses the Stack class template.